Looking to purchase a designer watch, but want to get the most for your money? If so, Jewelry-N-Loan has a diverse inventory of pre-owned luxury watches that may surprise you in their quality and value. What can you expect when you purchase a pre-owned luxury watch? 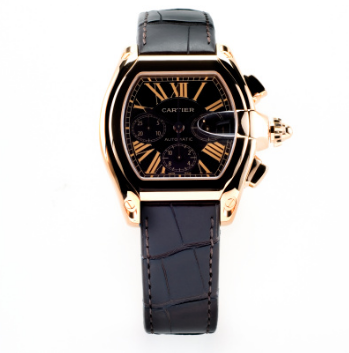 Jewelry-N-Loan goes above and beyond to ensure each watch sold is authenticated and in good condition. This will confirm if the watch is genuine or fake. Additionally, the watch will be analyzed to confirm if it has been reported lost or stolen, which is a very rare occurrence. The watch is then inspected by our master watchmaker, who addresses water resistance, accuracy, functionality and condition. The price of a pre-owned watch depends on a number of factors, such as popularity on the secondary market and the age and condition. The rigorous process to assess each pre-owned watch is taken to ensure the happiness and trust of our valued customers. A few of the most popular watch brands Jewelry-N-Loan buys and sells, in addition to making collateral loans on, include Rolex, Patek Philippe, Cartier and Audemars Piguet. Are you looking for a pre-owned watch, or are you in the market to cash in on your investment? If so, Jewelry-N-Loan in Costa Mesa, CA is your answer for the best service, expertise and prices around. Our friendly staff will help you with whatever you need when it comes to Rolex and other luxury watch brands. Just stop by our shop on Newport Blvd. or call us at 949.645.0488 and see how we can help you!